You need 8 to 14 players. These players play one against one on the whole court. The off. 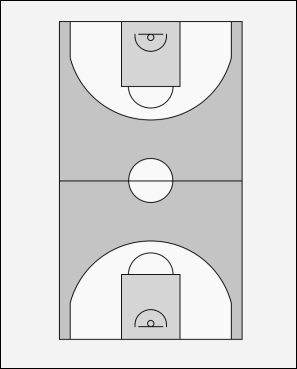 player get's only one shot at the basket. Then only an other player may rebound and touch the ball. This player goes as fast as he can toward the other basket for his lay-up. Make them run hard and don't let them wait for the def. player.